Christine got off to a great start with Divine Legs. After she achieved her initial goal of 100 orders in 100 days, she multiplied her sales to get 300 orders in the next 100 days. She achieved that, too. However, even growing businesses come across barriers. The cost of getting sales began to get prohibitive, so even though Divine Legs was making sales, it wasn’t making profits. Christine is an accountant, so she can look at numbers and see them clearly. When she realized that she was going to have to struggle for some years to cover her investment, she began considering whether she really wanted to do that. As she was considering whether her heart was in it, two other barriers popped up. One, her supplier became unable to supply her single best-selling item. Since the core of her business was a subscription, it was a real kicker that she was going to be unable to supply her most loyal customers. The second barrier was that she had picked too good of a product to sell. The tights from Divine Legs were such good quality that they lasted a long time, and the situation didn’t lend itself to subscriptions. Many of her customers were pausing or cancelling their subscriptions, because although they liked the product, they simply had too many tights. Christine put the numbers together and realized that she needed to call it quits. Listen to learn why making a sale doesn’t equal making a profit, and why business owners must prioritize themselves, pay themselves, and take care of themselves first. In hindsight, Christine put her own handicap in place when she insisted on a really good-quality product. People who were willing to pay the price for her premium tights were very happy, but bought them with the understanding that they wouldn’t need very many pairs. People who were unwilling to pay for them were perfectly happy to buy five pairs of tights for five quid from Tesco. On the one hand, if she hadn’t insisted on a high-quality product, she could have gotten business from those five-for-five buyers. On the other hand, however, a couple of competitors came onto the scene after she opened doing just that, and they all closed down before she did. Listen to learn why going into a business with realistic expectations of the effort, earnings, margins, and overheads are important. With the dawning realization through October that her subscriptions were down and her best-selling product was on a six-week wait, Christine was forced to take a long hard look at every aspect of her business. She realized that her heart wasn’t in it. Her energy was already with her consulting business, not Divine Legs. 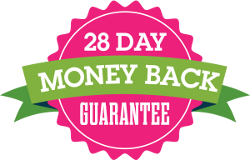 After taking inventory of her stock, she decided to do a Twelve Days of Christmas campaign in December, then pause the Shopify site through Christmas, then come back up with honesty to her customers and a closing sale in January. It can be tempting for a business that is closing to just lock its doors and put the rest of its stock on eBay. Christine’s core values, however, dictated a higher level of honesty with her customers. In her consultancy business and in all the other businesses she’s run in the last 25 years, she’s always been about being honest and transparent. If a client doesn’t share her value of complete honesty both with themselves and with her, then she can’t work with them. Honesty to her customers also allowed her to be honest with herself. When her customers were terribly sad that she was closing, she was able to honestly consider to herself whether she’d keep Divine Legs open if people begged her to. The answer was no. 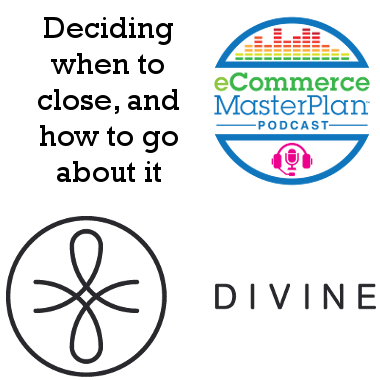 Ultimately, Divine Legs was not keeping her happy, and even if none of the other barriers had existed, the eCommerce business is lonely. Christine gets her energy from being with people, and the social isolation of an eCommerce business was not for her. 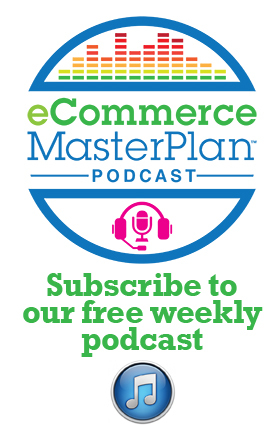 Listen to learn why eCommerce business owners can become martyrs not only to lower pay for themselves, but a lower level of happiness for themselves. If you are unhappy in your business, both you and your business will suffer. Fear of failure can prevent people from enjoying their life and potential. Christine’s accountant was desperate for her to find a buyer instead of shutting the business down, but Christine didn’t want someone else taking over her branding. She had put so much of herself into it. Selling a business also takes months, and the sales price is dependent on turnover and profit. She would have had to keep driving Divine Legs for months when her head and her heart were already gone from it. She wanted to simply switch her focus, and the way to do that was to close the business. What Is Christine Doing Now? Christine is continuing her consultancy work at The Profit Fixer. She’s moved towards working with multiple clients instead of just two or three and working in a mentoring sort of way. 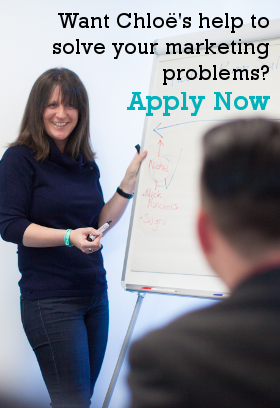 She offers a virtual service, as well as an executive mentoring service. In 2018, she will be setting up a mini mastermind group to get people really focused on growing their businesses. She’s also just launched a LinkedIn group called the No Bullsh*t British Business Forum where people can go to ask questions, get answers, and get help from entrepreneurs. Pick your channel, test what works and what doesn’t, pick out the bits that really work, and drop everything else. Laser focus on what works. Final word from Chloe: Keep optimising, and know that optimisation is both about finding the good and doing more of it, and finding the bad and turning it off. Time is limited, and happiness is something you should experience every day, in and out of your business. If you’re not, maybe it’s time for a big change.